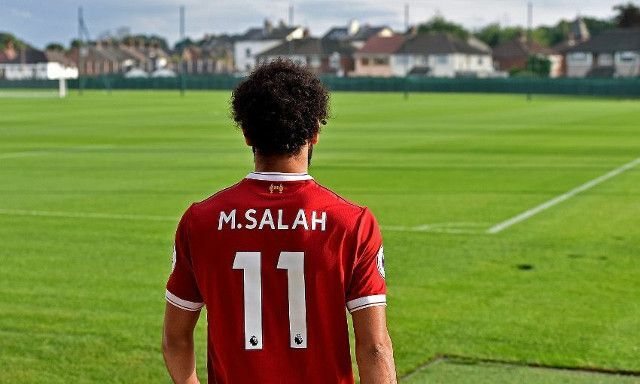 Mohamed Salah needed only one half of football to get off the mark in a Liverpool shirt, equalising in the club’s pre-season friendly against Wigan at the DW Stadium. The Egyptian looked bright in his first game for his new team, going close early on with a shot that went high and wide following a blistering run down the right-hand side. It didn’t take long for the winger to showcase just how perfectly suited he is to Jurgen Klopp’s setup, interchanging with the likes of Roberto Firmino and Philippe Coutinho and demonstrating just how big a threat he is through the middle. He went close to opening his account several times throughout the first half and also played a key role in a quick counterattack that Roberto Firmino eventually failed to finish off. Firmino was at hand to gift his teammate a simple debut goal shortly after, selflessly squaring the ball to set the winger up for an easy finish. Salah played only 45 minutes against Wigan with Klopp having selected different teams to feature in either half.